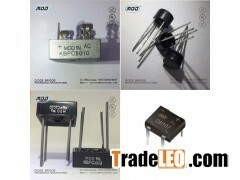 Tips：This page [Hot Selling 10 Amp 1000V KBPC1010 10A Single Phase Bridge Rectifier Diode Pile KBPC5010 2W10 DB107] infomation provided by [MICRODIODE ELECTRONICS (SHENZHEN) CO.,LTD] ,the enterprise is responsible for the authenticity, accuracy and validity of the information content. www.tradeleo.com do not assume any guarantee of joint and several liability. A safe way to suggest that the two sides trade, to ensure the interests of both sides.